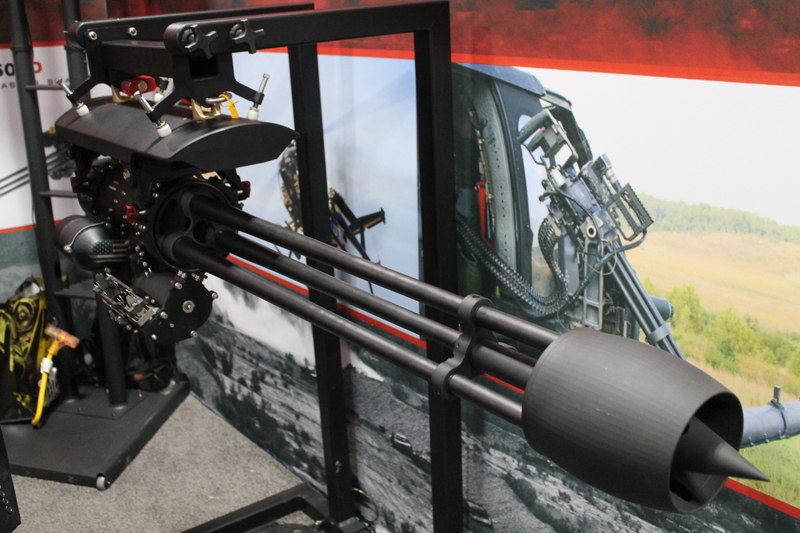 Brownells, Inc. always have interesting stuff on show. The Retro line is ever expanding and they’re really doing a great job overall with them. The M16 styled AR in classic heat shield configuration with long M203 is of course a look that never ages and I believe the launcher itself is a 37mm ‘flare launcher’ that requires no NFA paperwork, manufactured by LMT. 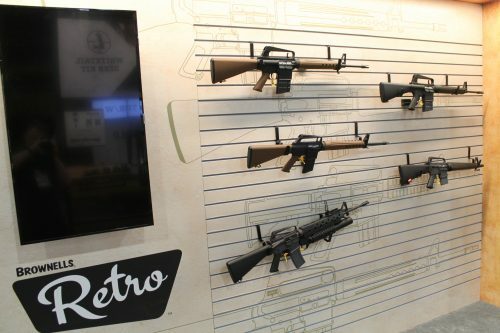 The ‘dissipator’ style AR in original Vietnam style with triangular handguards was not one I’d seen Brownells making before and if you’re unfamiiliar with the original cut down M16s from the Vietnam war the’re something I’d recommend reading in to/looking up pictures. 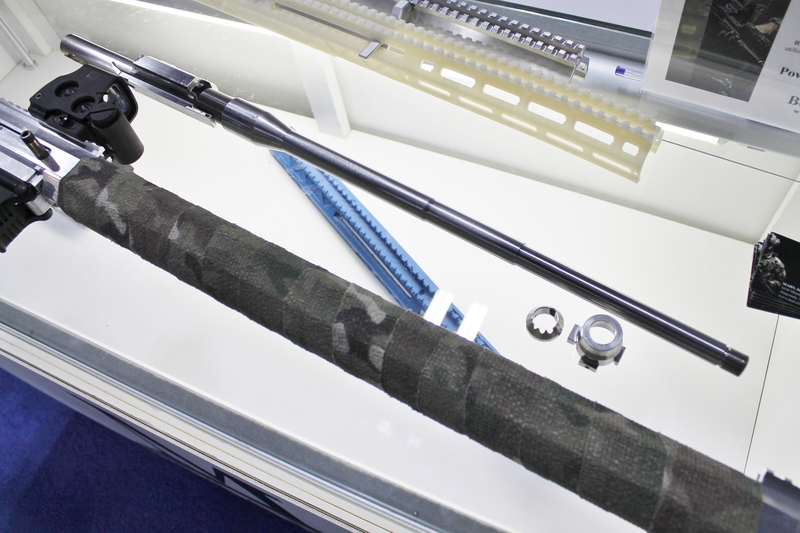 Very cool rifles and ironic in the sense that an AR with ~16″ barrel and rifle length gas system is something that WarSport made out to be a huge deal when they released the LVOA. What’s old is always new again. 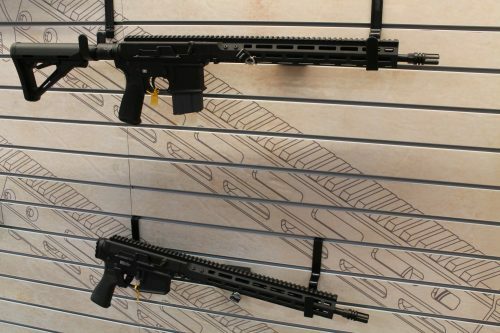 Even more interesting is the BRN-180, which is a series of drop-in AR uppers and complete rifles using a somewhat updated AR-18 system. 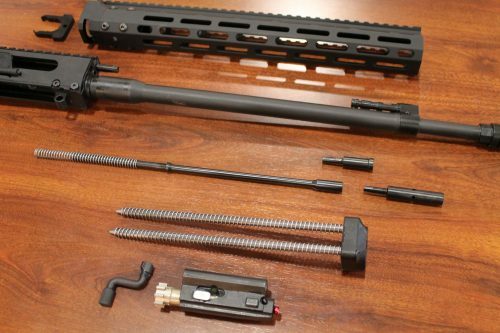 AR-15 controls but with a short stroke gas piston and no need to have any operating parts in a buffer tube facilitating the usage of folding stocks. The AR-18 was actually far more influential on other firearms going forward than the AR-15/M16 were. The L85A1 was really just a badly done bullpup conversion of an AR-18 and the service rifles of South Korea take huge influence from the 18. 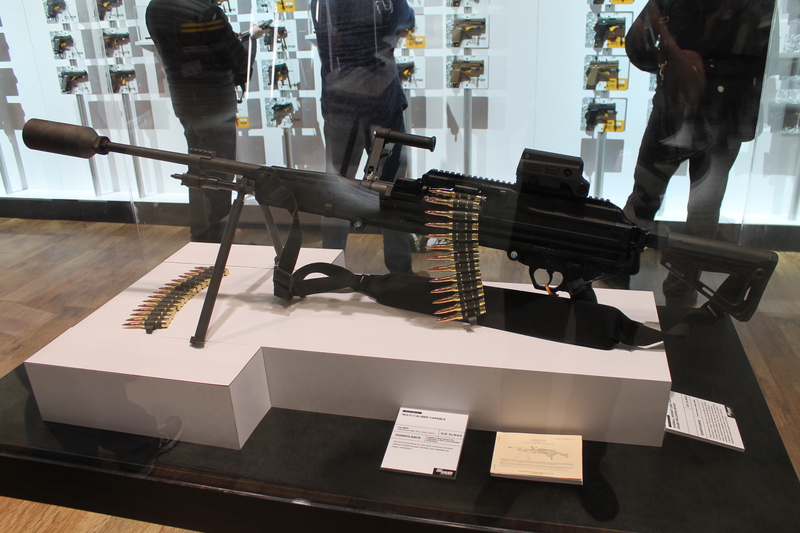 The G36 is pretty much the working parts of an AR-18 inside a plastic body and personally I would argue that a similar thing could be said with regards to various aspects of the ill-fated Magpul ACR, to name just a few examples.